If you are an employer, you already know that most Americans are woefully unprepared for retirement. That is nothing new. What is really frightening is the extent to which many Americans are lacking an understanding of the most basic financial concepts, and the toll that lack of understanding takes on a company's productivity. This is where work-site employee financial education comes in. We are not talking about 401(k) education! All too often you hear people complain that they can not afford to save and although for some people that is true, for many people it is a matter of priorities. This is where good solid employee education comes in. By looking at a person's entire financial life - debt, savings, taxes, etc. and not just the 401(k), you can put people on the right path. And employees are hungry for objective information and guidance. Employee financial education is more than just doing the right thing. Not only is it a low cost, highly appreciated employee benefit, but it may also lead to higher productivity. This fact has been well documented by several academic researchers. Putting in place a systematic plan for reducing credit card debt. Learning to use automatic savings plans and electronic bill pay e-bill pay to reduce late fees, manage the bill paying process and automate the savings process. Participating in a company-sponsored retirement plan. Protecting oneself from catastrophic events through the appropriate kind and amount of insurances. Making sure that people have an estate plan. When employees are in control of their personal finances, they are generally far more productive. It may seem odd that we have to worry about the personal financial lives of our employees, but that's the world we live in today. Smart employers will address the need by offering this low-cost, highly visible benefit and it will pay for itself in higher productivity. 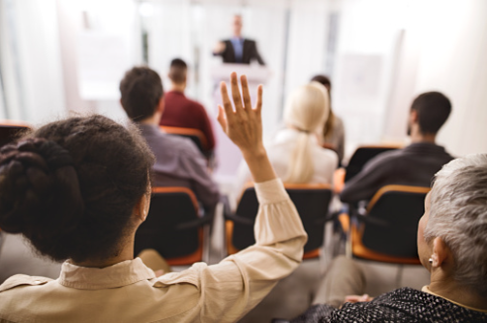 These seminars are ideal for presenting concise, thorough workshops on a variety of financial issues that concern people of all ages. Customized presentations are available upon request. How does your employees' financial health affect your company? One word: stress. Take credit card debt, add the larger macroeconomic trends of a riskier workplace, throw in the overall decline in the number of Americans covered by pensions and health insurance plans, then top it off with the increase in the average length of unemployment.